What Defines “Unlawful Purpose” of a Gun or Firearm in New Jersey? Weapons charges are extremely serious in the State of New Jersey especially those involving the use of one for an unlawful purpose under the Graves Act. Before getting to that crime it’s important to understand that similar to Pennsylvania weapons charges don’t merge for the purposes of sentencing. This means that a person can be convicted of the possession of a gun or firearm without a permit or registration and the possession of that same firearm for an unlawful purpose. In the Garden State the possession of a weapon for an unlawful purpose is a crime of the second degree if that weapon is a firearm, explosive or destructive device and the prosecution establishes that the defendant used it against property or the person of another. It was going to be used unlawfully. While a gun or a firearm used against the person or property of another are both graded as crimes of the second degree, there’s an important distinction between property and person. Under New Jersey’s Graves Act, there’s mandatory parole ineligibility if the crime is committed with a gun and against a person as opposed to property. With regards to the unlawful purpose element of this criminal offense, the prosecution doesn’t have to prove a specific purpose or plan to act unlawfully. The prosecution (aka “the State”) only has to present enough evidence for the judge or jury to draw a legitimate inference as to that unlawful purpose. The shooting of a BB gun, for instance, would permit that inference. This criminal purpose only has to exist at the time that the offense occurred. The test for unlawful purpose isn’t whether the defendant’s belief was reasonable but rather whether it was an honest belief that he/she needed the weapon for self-defense for instance. The belief therefore can be honest but unreasonable and still be sufficient to negate the mental state required for conviction. If the weapon, gun or firearm is used in the commission of a crime (robbery, burglary, and aggravated assault) it merges with that principal act. The gun charge wouldn’t merge, however, if the prosecution proves that the defendant had a “broader unlawful purpose”. For more information on gun charges in New Jersey I encourage you to subscribe to my monthly newsletter, read my blog, or call our office. Check out one of my other articles on New Jersey’s Gun Laws right now. While Pennsylvania and New Jersey share border and bridges, they handle gun crime differently. Never assume that compliance with Pennsylvania gun laws equals compliance with New Jersey’s often stricter laws. Free to Leave? 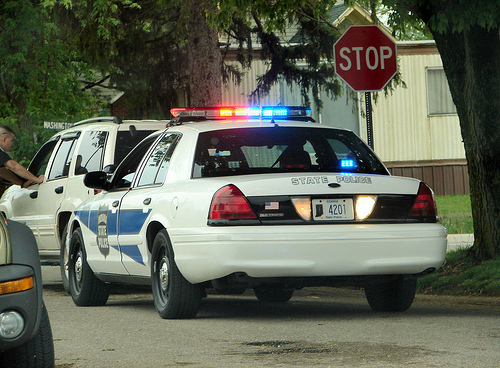 When does a police car stop violate your rights in Pennsylvania? 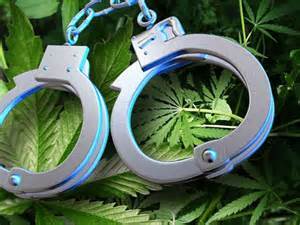 There a lot of illegal drug, gun and firearm (VUFA) cases in Pennsylvania and beyond that started with a traffic stop. Police have stopped most of us at least once if we’ve been driving a car in the Commonwealth or any state for a significant period of time. Traffic stops occur for a variety of reasons but usually a driver has violated some section of the motor vehicle code (Title 75) such as speeding, running a stop sign, a red light or there’s something wrong with the vehicle (window tint, car registration, tail light). The violation provides the law enforcement officer with probable cause to stop the vehicle and this is constitutionally permissible. After the car stop, the police officer is permitted to investigate the violation and question the driver about it. If, however, the officer continues to question after the purpose of the initial traffic stop is achieved, he needs reasonable suspicion to support the continued seizure and investigation. If the officer continues to question, it is presumed that the driver isn’t free to leave. It’s important to keep in mind, however, that as long as the officer’s attention and focus remains on the initial traffic stop, he is not only permitted to question the driver and investigate the violation but order the driver out of the vehicle in the course of issuing the citation for the initial traffic violation. Remember, that reasonable suspicion is based not only on the officer’s observations but his knowledge and length of experience in his position. Pennsylvania Courts, however, will still evaluate this constitutional requirement on an objective standard – what are the facts available to the officer at the moment of the interaction that would cause an officer to reasonably believe that further police action was needed to investigate a possible crime (Totality of the Circumstances.) There needs to be reasonable suspicion and it can’t be a hunch or guess or some type of baseless suspicion. Pennsylvania courts have found that reasonable suspicion doesn’t exist simply because a driver appears nervous during questioning or that the driver’s “story” seemed inconsistent with regards to the length of time he was driving the car or that the driver’s story didn’t “add up” with the passenger’s version. Reasonable suspicion, however, does exist where the officer smells or hears something that, based on his experience and training, could be some type of contraband (drugs, controlled substance, or guns). This second round of questioning once the initial traffic stop questioning is completed (officer gives back driver’s license and issues citation) requires something more than just the officer “looking for something” to support it. Frequently the officers will ask to search the vehicle during this second round of questioning without any reasonable suspicion to do so. The driver’s consent, however, allows the office to bypass the need for a search warrant as all searches in Pennsylvania are presumed unreasonable without a warrant. While the Pennsylvania case of Commonwealth v. Garry has challenged the concept of exigent circumstances and Pennsylvania’s protection against warrantless searches, this case is distinguishable from many Pennsylvania drug and gun cases. Even if the officer orders the driver out of the car, there still must be an independent basis for the continued questioning. Without reasonable suspicion, any and all evidence obtained, even if the driver consents following questioning, could be held inadmissible under the Exclusionary Rule. Reasonable suspicion is a lower form of probable cause and so police don’t need as many “articulable facts” as probable cause. Probable cause, as you may recall, is the standard that federal and state courts will use to evaluate the search and/or arrest of a criminal suspect. These concepts are critical especially in cases in involving drugs, guns or any firearms in Pennsylvania. They form the foundation to a Motion to Suppress Evidence based on a violation of a person’s constitutional rights under Article 1, Section 8 of Pennsylvania Constitution and the 4th and 14th Amendment to the United States Constitution. For more information on a criminal defense strategy I encourage you to subscribe to my newsletter and visit my free download section. What is the legal way to buy a handgun (including a BB gun)? To buy or purchase a handgun in the state of New Jersey you must present the seller with a valid permit to purchase a handgun along with one additional form of identification. The information on the handgun purchase permit obviously must match the other identification. It’s the responsibility of the seller to forward on the copies of the completed permit to the appropriate authority. How does a person obtain a firearm purchaser identification and/or a permit to purchase a handgun in New Jersey? A person can apply at his or her local police department but if you’re an out of state resident you must apply at the nearest New Jersey State police station. It is important to keep in mind, however, that an out of state resident may only apply for a firearms purchaser identification card. How does a person apply for a permit to carry a handgun in New Jersey? A New Jersey resident must apply with the police department located where they reside or the New Jersey State Police if the police authority that services your area. Out of state residents must apply for a permit to carry at the New Jersey State Police Station. If I move to New Jersey from another state like Pennsylvania, can I still continue to possess my firearm? Firearms which have been legally acquired in a different state are permitted in New Jersey if the owner establishes residency in the state. An owner, however, may voluntarily register the firearm by completing a voluntary form with the New Jersey State Police or the local police department. Please remember that this isn’t the same as a license to carry a handgun! If a person inherits a firearm he or she is not required to have a firearm purchaser identification card or a handgun purchase permit. If, however, the person isn’t qualified to acquire or possess the firearm or handgun he or she may retain the weapon but can’t hold it longer than 180 days. How may a person transport a firearm through New Jersey? 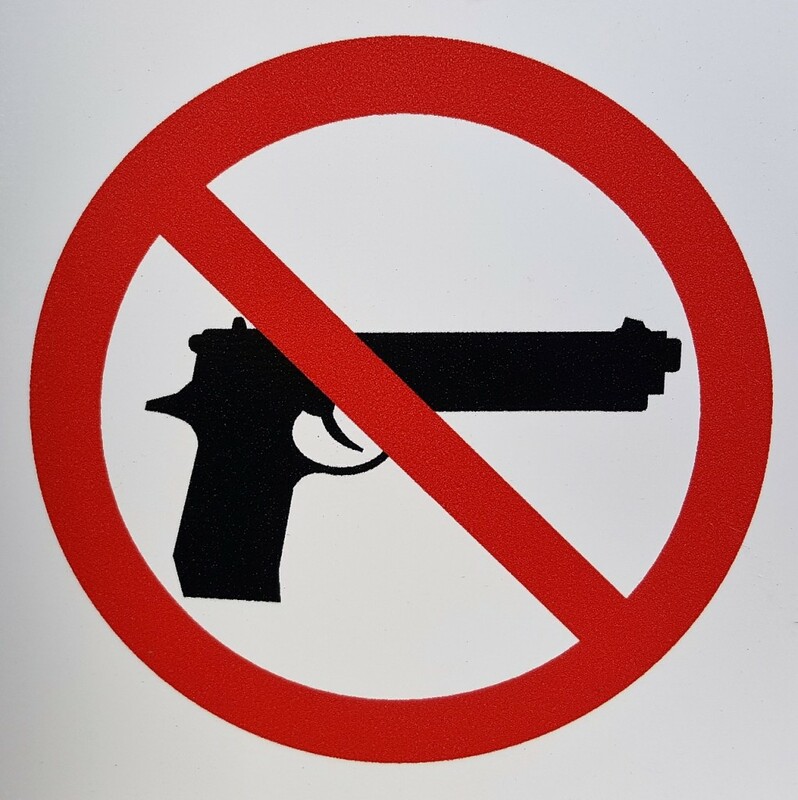 If you’re traveling through the state of New Jersey, your firearm must be kept unloaded and in a closed and fastened case, gun box, or locked in the trunk of an automobile. The ammunition must be kept in a separate container and locked in the trunk of the automobile. If the vehicle doesn’t have a trunk, the ammunition must be kept in a separate compartment and not in the vehicle’s glove box. For more great information about gun crimes in New Jersey and Pennsylvania, I encourage you to subscribe to my monthly newsletter, visit my video section and my free download section. DUI Checkpoints: What makes them constitutional in Pennsylvania? The summer is almost here and so is an increased police presence on the highways and roads. This means that at least some of us will run into a DUI checkpoint. In Pennsylvania, the random stop of a car or other motor vehicle is unconstitutional but federal and Pennsylvania law do, however, permit them in certain situations. Pennsylvania defines a roadblock as a well-marked stationary point supervised by police where officers make a brief “without suspicion” or stop to determine a driver’s possible intoxication using a pre-determined objective standard. While it may appear that checkpoints and roadblocks violate the Fourth Amendment to the United States Constitution and Article 1, Section 8 of the Pennsylvania Constitution, the United States Supreme Court and the Pennsylvania’s Supreme Court have found this police tactic permissible provided that the police satisfy certain requirements. The Commonwealth, however, through the assistant district attorney, bears the burden of establishing the constitutionality of that roadblock. Almost every case involving the constitutionality of a roadblock will cite the “Tarbert/Blouse” standard. This standard comes from two Pennsylvania Supreme Court cases which balance an individual’s constitutional rights under the Fourth Amendment and Article 1, Section 8 of the Pennsylvania Constitution against Pennsylvania’s compelling interest of public safety (protecting people from drunk drivers.) The Court in both of these cases found that while roadblocks intruded upon a person’s constitutional rights, it is an acceptable level of intrusion given the state’s interest in protecting the public. A driver is legally permitted to avoid a roadblock and police can’t stop a car simply based on the belief that a driver is avoiding them. If the police officer, however, believes that the driver is purposely avoiding them and the officer has a reasonable suspicion that the motorist is either in violation of Pennsylvania’s vehicle code or the motorist is committing a crime due to the car’s sudden change of direction, he can stop it. 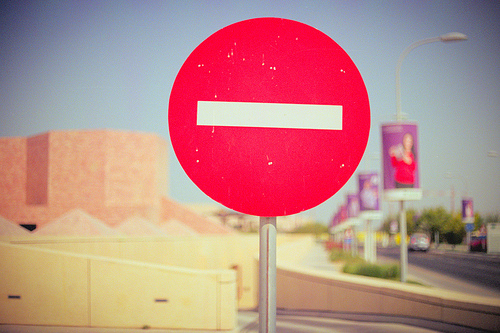 Roadblocks create a variety of pre-trial issues for your attorney to argue in your case. If your attorney doesn’t attack these issues and focus argument on them, he/she simply doesn’t understand the law. A pre-trial motion to suppress evidence discovered after a stop or arrest at a roadblock is a powerful defense tool. If the motion is successful, the prosecution won’t be able to use critical pieces of evidence against you at trial. The most important piece of evidence at a DUI trial are the results from a chemical test (blood or breath). Remember that there are 9 types of DUI charges in the Commonwealth and the severity of these drunk driving charges depend on a person’s BAC level. A motion to suppress may also focus on the results of a field sobriety test given prior to an arrest. 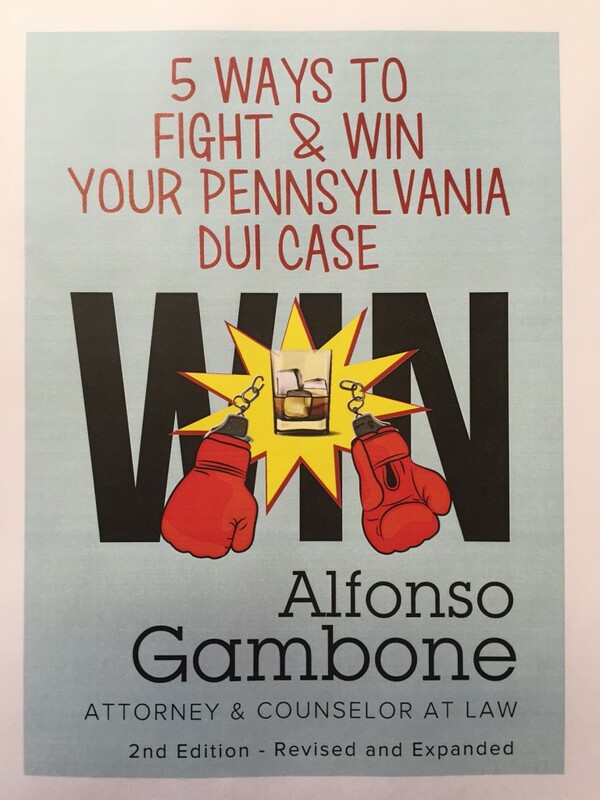 For more information on DUI in Pennsylvania, read my book—5 Ways to Fight & Win your Pennsylvania DUI case. I’m almost finished the second edition of this book and look for this expanded version later this month! What you need to know about a first time New Jersey DWI? 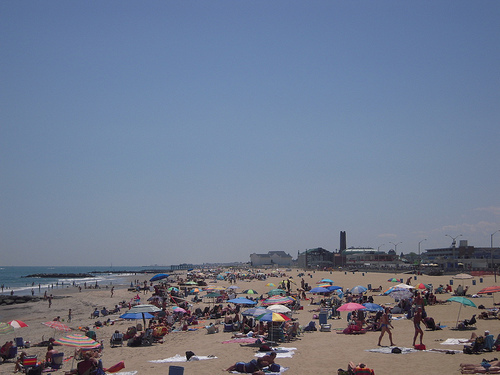 Many of my readers will spend a large amount or even the entire summer in New Jersey. While Pennsylvania and New Jersey share bridges and boarder, they’re very different when it comes to drunk driving. Unlike Pennsylvania, New Jersey doesn’t maintain a diversion program for 1st time DUI offender otherwise known as Accelerated Rehabilitative Disposition (ARD). Prosecutors in New Jersey aren’t permitted to plea bargain DWI cases. They are, however, permitted to reduce the severity of DWI charge to a lesser tier (lower BAC) under what is known as “prosecutorial discretion. “ For example, if you were charged with a DUI for a Blood Alcohol Concentration (BAC )of .10, the prosecutor is permitted to reduce it to a lesser DUI charge (.08 – less .10) if he can articulate to the judge why he is reducing the severity of the charge. A lesser DUI charge means less of a license suspension (7 month to 3 months) and less of fine so it’s an important concept. To get this “Tier Drop” your New Jersey DWI attorney must identify issues such as the lack of probable cause for the car stop, your arrest and possible challenges to the results of the Alcotest. These issues will challenge the constitutionality of the case against you and the ability of the prosecution to establish reasonable doubt. This is the only way to get the prosecutor to reduce the severity of your DWI charge. An automobile insurance surcharge of $1,000.00 for 3 years. (See P.L. 2003, chapter 314). An automobile insurance surcharge of $1,000.00. In cases where a BAC is .15% or higher, a person is subject to all of the above penalties, in addition to an ignition interlock device for a period of 6 months – 1 year after license restoration. A $75.00 fee to the Safe and Secure Community Program Fund. Obviously if your defense is strong enough, you may want to consider rejecting all plea offers and going to trial. Proper DWI case preparation should always include possible pretrial motions such as a Motion to Suppress the evidence against you due to a violation of your rights under the 4th and 14th Amendment to the United States Constitution and Article 1, Paragraph 7 of the New Jersey Constitution. If your Motion to Suppress evidence is successful your case could be dismissed before trial. If your case does precede to trial your defense counsel should focus on the following issues: actual physical control of the motor vehicle; field sobriety test administration and the administration; and results of the Alcotest to determine BAC. If you have questions about DUI or DWI in Pennsylvania or New Jersey, contact our office at (215) 240-7377 or email us at [email protected] Also visit our free download section of the website! Negativity: What makes prejudicial evidence admissible? Evidence is an essential component of any criminal trial—there is no trial without it! The most important issue when it comes to evidence is the issue of relevancy. If evidence is relevant it’s generally admissible unless another rule of evidence (i.e. hearsay, character) or procedure (i.e. 4th Amendment violation, Discovery Violation) prohibits its introduction. The issue of relevancy is important not only at trial but during pre-trial motions such as a Motion to Suppress Evidence, a Motion to Quash and Preliminary Hearing. Notice that the focus on the admissibility of evidence is whether it’s relevant and not whether it is fair, helpful, or harmful to the defense’s case. Evidence either helps or hurts one side so Courts aren’t going to exclude it on that basis alone. Frequently clients will tell us that a judge shouldn’t allow a specific piece of evidence because it unfairly depicts them in a negative light (pictures, videos) or that it was taken out of context (text messages, notes, letters writing). The term that you will hear most often during a criminal proceeding is prejudicial. It’s important to understand, however, that prejudicial evidence isn’t necessarily inadmissible in court. The definition of prejudicial is “harmful or detrimental to someone or something.” Keeping in mind that definition, most, if not all, of the prosecution’s evidence will fall within it! The district attorney or prosecutor probably wouldn’t bother using the evidence if it wasn’t detrimental to the defendant or the accused person. Pennsylvania Rule of Evidence 403 specifically allows even inflammatory evidence into a criminal proceeding as long as it’s relevant and helpful to the jury’s understanding of the facts. The judge, however, won’t admit evidence simply because it’s relevant. The judge also must weigh or balance if the evidence’s probative value outweighs its prejudicial value. The definition of probative is “having the quality or function of proving or demonstrating something.” A court will only, therefore, exclude relevant evidence if it’s prejudicial value exceeds its probative value. The term you will hear most often in court is that evidence is unduly or overly prejudicial. Evidence that doesn’t meet this category is admissible and your criminal defense lawyer needs a plan to deal with it. As I’ve written in my books and monthly newsletters, the worst strategy is to ignore this evidence, especially in cases involving illegal guns and drugs. Prejudicial evidence can take form of picture, videos, text messages and phone calls. Even if prejudicial evidence is coming into your criminal case, your attorney can and should plan a strategy to address it! Step one of that strategy may be to file a motion to exclude it as overly prejudicial. If that motion isn’t successful, the next step is to identify ways to minimize it. For more information on criminal defense strategies, check out one of my 3 books on criminal defense, including my newest book—What Everyone Should Know about Guns, Drugs & Defense Lawyers in Pennsylvania. These crimes are summary offenses and account for over 10,000 crimes in the city each year. If a person fails to properly address these violations, a judge can and will issue a bench warrant which could land the person in jail and lead to additional criminal charges like contempt of court. Philadelphia’s newest proposal, however, is aimed at these low level summary offenses in an attempt to remove them from the criminal justice system in favor of a civil ordinance violation. Just like Philadelphia’s marijuana decriminalization law, Philadelphia police will no longer arrest someone for these offenses but rather issue a citation which, if not paid, will result in a civil judgement and not criminal contempt action. As it stands right now these low level summary offenses require not only police action but court administration time and other city resources (prison, sheriff). In most situations these low level criminal offenses result in fines anyway and, in most cases, the expungement of a person’s arrest record. The City’s goal is twofold when it comes to these offenses – save resources and to improve the economy. From an economic standpoint, even low level criminal offenses can create future employment problems for individuals because some employers will immediately eliminate a potential employee for any type of criminal offense even if the offense is a low level disorderly conduct. Many larger employers believe that criminal conduct creates potential issues down the road and there are many other applicants who don’t have this issue. It is important to understand that the city isn’t changing the Pennsylvania’s Crimes Code; it can’t do this under Pennsylvania’s Constitution. While Philadelphia is a “class A” city, its city council can’t make laws which conflict with the laws of the Commonwealth. Like the Marijuana Decriminalization bill, Philadelphia is simply choosing not to enforce the crimes code when it comes to these low level offenses. Criminal offenses are much more serious then civil penalties regardless of their grade (felony, misdemeanor, summary). Criminal violations often stigmatize a person as a future problem or someone who doesn’t respect authority. While civil violations can also cause problems, there is much less of a stigmatism for those matters. I always advise consulting with an attorney even if police tell you that it’s not necessary and you are simply “wasting your money”. We should respect police officers but know that they would prefer if we chose the path of least resistance in order to make their jobs easier. The path of least resistance, however, isn’t necessarily the best path for you and for more information about criminal offenses in Pennsylvania I encourage you to read my books, subscribe to my monthly newsletter, or watch one of my videos. This Memorial Day weekend will bring with it an increased police presence focused on stopping drunk drivers in Pennsylvania! My previous articles on DUI have focused on topics such as reasonable suspicion, probable cause, and the elements which make up a DUI defense in Pennsylvania (control, impairment, and BAC). If you’re charged with DUI it’s important that your criminal defense attorney focus on pre-trial and trial issues because overlooking either could seriously jeopardize your case. Field sobriety testing is an area that can cause a problem for the prosecution at trial or during a Motion to Suppress Evidence (pre-trial level). At the pre-trial level your criminal defense lawyer can argue that an improperly conducted field sobriety test should be inadmissible and therefore not used to determine if police had probable cause to arrest you for suspicion of DUI. At the trial level, a violation of Section 3802a(1) (general impairment) doesn’t require the prosecution to establish a specific BAC level. A police officer, however, will have to testify that the driver was unfit to operate a motor vehicle safely on the streets and roads of Pennsylvania. The testimony regarding the results of a field sobriety test can assist the prosecution’s case especially where the officer didn’t see the person drive the car but found him in control of it. It’s important to keep in mind that the prosecution doesn’t need proof that the officer saw a person operate the car but only that he was in control of it! In Pennsylvania a person can be convicted of Driving under the Influence if the car is parked and the keys are in the ignition. The Standard Field Sobriety Test (SFST) are frequently administered at roadside when police or state troopers come upon an individual who they believe to be intoxicated. Police use these tests in addition to observing a person’s pattern of speech, disorientation, odor of alcohol, and other movements. Unlike physical presentations (speech, odor, and movements), the scoring of the field sobriety test are subjective. Officers are trained to look for certain errors or “clues” which are believed to have a correlation to a person’s blood alcohol content (BAC). While failure on these tests isn’t required for police to have the probable cause to arrest someone the results are still important. The prosecution will use the SFST to bolster the Commonwealth’s case if a person fails them. The defense should always focus on attacking the reliability of these tests and establishing alternative reasons for a driver’s poor performance or failure. Unlike chemical testing, a driver isn’t required to take a field sobriety test but keep in mind the prosecution could always use it as “consciousness of guilt” just as if a person ran from the scene of a crime. I have written previous articles on these tests and I encourage you to read them. All of these tests are premised on the theory that impairment diminishes a person’s ability to perform mental and physical functions at the same time. To safely operate a car or motor vehicle, a person must be able to process mental data and perform physical functions contemporaneously. The one leg stand test and the walk and turn test are divided attention or psychophysical tests. The goal of divided attention tests is to have the individual demonstrate two or more psychophysical skills such as the ability to process information, make decisions, use short term memory and maintain balance and coordination. Not all police officers are trained on field sobriety testing as training requires a specific certification. These are all important issues in your criminal defense of a DUI in Pennsylvania. For more information on this topic I encourage you to read my books and subscribe to my monthly newsletter. Is it Aggravated Assault, Simple, or Self Defense? In Pennsylvania, like many jurisdictions, there are different degrees of assault. Assault is either a misdemeanor or a felony offense in the Commonwealth. If assault is a misdemeanor it’s defined as a simple assault in which the alleged perpetrator attempts to cause or intentionally, knowingly, or recklessly causes bodily injury to another person. Simple assault is also committed where the perpetrator acts negligently with a deadly weapon, causing bodily injury. 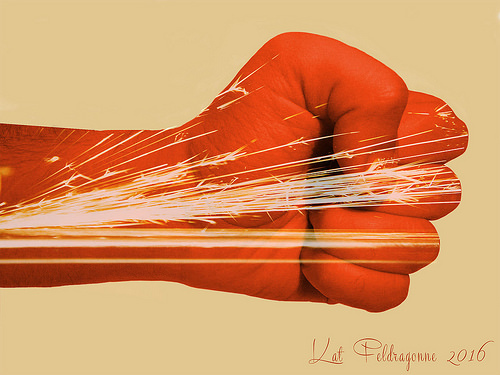 A simple assault is a misdemeanor of the second degree. If the defense can establish that it was committed during a fight, entered into by “mutual consent” then making it’s a misdemeanor of the third degree. It’s misdemeanor of the first degree if the victim is under the age of 12 and the perpetrator is 18 or older. Aggravated assault occurs when the accused attempts to cause serious bodily injury to another or causes serious bodily injury intentionally, knowingly, or recklessly under circumstances “manifesting extreme indifference to the value of human life”. An aggravated assault is also committed when a person causes or intentionally or knowingly causes bodily injury with a deadly weapon. There is also an aggravated assault crime reserved for contact with law enforcement and other enumerated person (fire fighter, paramedics, judge) which is beyond the scope of this short article. A critical component of the aggravated assault crime is malice. Malice is established where there is “wickedness” or “hardness of heart, cruelty, recklessness of consequence, and a mind regardless of social duty”. A person doesn’t need to target a specific victim to commit an aggravated assault. Specific intent to injure a specific person isn’t required in Pennsylvania. The prosecution may also establish aggravated assault beyond a reasonable doubt under an accomplice liability theory. Accomplice liability isn’t the same as conspiracy and doesn’t require that a defendant form an agreement with the co-conspirator. Accomplice liability only requires that the accused person actively participate in such a way that it aids his cohorts and that aid was intended to facilitate crime. The defense and prosecution will both make or arguments with regards to self-defense and a judge or jury will have to decide whether the accused’s belief was 1) reasonable, 2) free of provocation, and 3) whether the accused had a duty to retreat. This analysis not only requires a judge or jury to look at the reasonableness of the belief but also the issue of provocation. Provocation is key in this situation because a person can’t assert a self-defense argument if he started the incident which ultimately required him to act in self-defense. If you’re charged with the aggravated assault or simple assault it’s important that your defense attorney consider a self-defense argument especially if the victim has significant injuries. If there are significant injuries, the prosecution will argue that you intended to commit serious bodily injury and will seek a conviction for a felony offense. Even if you are just convicted of a simple assault (misdemeanor) this conviction will follow you and hinder your ability to obtain certain employment positions and professional opportunities. For more information on criminal defense strategies, I encourage you to read my books, watch my videos and subscribe to my monthly newsletter. We all have thrown out different types of items during the course of our lives and we’ll continue to do so up until the very end of it. 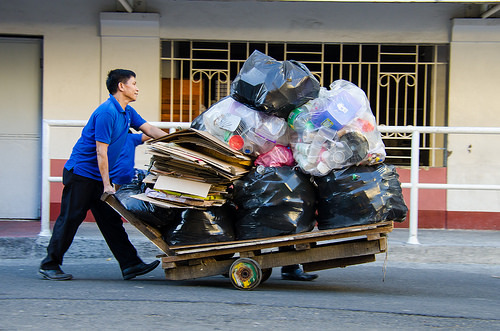 People throw away items to eliminate clutter and/or to make room for a new item or version of the same product. Everyone enjoys the constitutional right against illegal searches and seizures of their person and their personal property. To assert those rights, however, a person must have standing under the Fourth Amendment to the United States Constitution. Standing means that the person has the privilege to assert their constitutional right and without it, a court won’t look any further at this issue. Criminal defense attorneys argue constitutional rights under the Fourth Amendment in Motions to Suppress Evidence but these motions require that the Petitioner (the accused person) has standing under the Constitution. Standing obviously takes the form of a person’s physical body but it can also be any property that a person owns or is in possession of at the time of the police officer’s stop or seizure. When a person throws away property, he or she effectively abandons not only the property but also his Fourth Amendment Right to it. If property is therefore thrown out, police don’t have to obtain a search warrant to search it or even ask the accused person’s consent. In the criminal defense world abandonment not only takes the form of throwing items out but also hotel rooms, once the bill is paid and rental cars, once they are returned to the car company. Courts have held that once a person disclaims ownership and possession of a piece of property he or she has no standing to contest the search of it. Abandonment is a major issue in cases where people throw out items used in the sale or distribution of drugs (baggies, scales, cutting knives, etc). It’s also an issue in gun cases when gunshot residue is an issue. As discussed in my previous article, circumstantial evidence sometimes isn’t as strong as direct evidence but it’s still enough to convict the person beyond a reasonable doubt in a criminal court in Pennsylvania. Abandonment is a pre-trial issue that can prevent the admissibility of evidence at trial if the defense can successfully argue that the property wasn’t abandoned. Abandonment isn’t, however, a preliminary hearing issue as the issue there isn’t guilt but rather a connection to a crime (aka “prima facie burden of proof.) I encourage you to read my article on preliminary hearings to understand more about this concept. Again, abandonment is a huge issue in cases involving drugs, guns, and firearms because Motions to Suppress Evidence are usually the defenses strongest tools in cases involving these crimes. In these cases the prosecution will likely argue that the accused person has no right to the property and therefore the issue of probable cause, reasonable suspicion and constitutional rights doesn’t even apply. It is important, however, that you’re attorney uses circumstances surrounding the alleged abandonment to show that the accused person maintains some ownership interests in the property. For more on criminal defense strategies, check out our resource center, my monthly blog and videos!